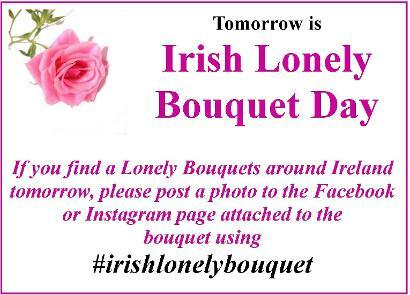 The Irish Lonely Bouquet is an initiative by Irish Florists who have come together to help promote and support Flower Shops and Florists in Ireland. Are you a Florist? 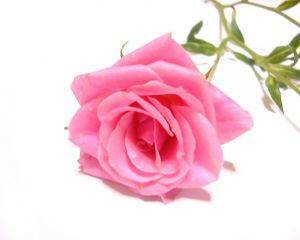 Why not get involved and promote your Flower Shop in your area. 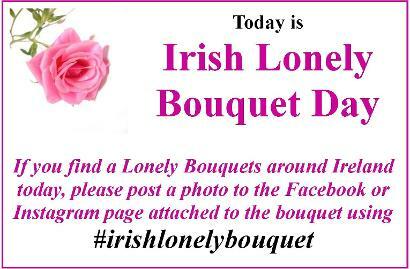 Use the #tag #irishlonelybouquet with all your posts so other florists can support your campaign also. How many bouquets should I leave around? The more you leave the more PR you may get, there is no definite number, some florists are leaving out 10, some are leaving out 30, its entirely up to you. What time should I leave the bouquets out at? If possible I would stagger leaving the bouquets throughout the day for the best results. When I place the Bouquets what should I do next? 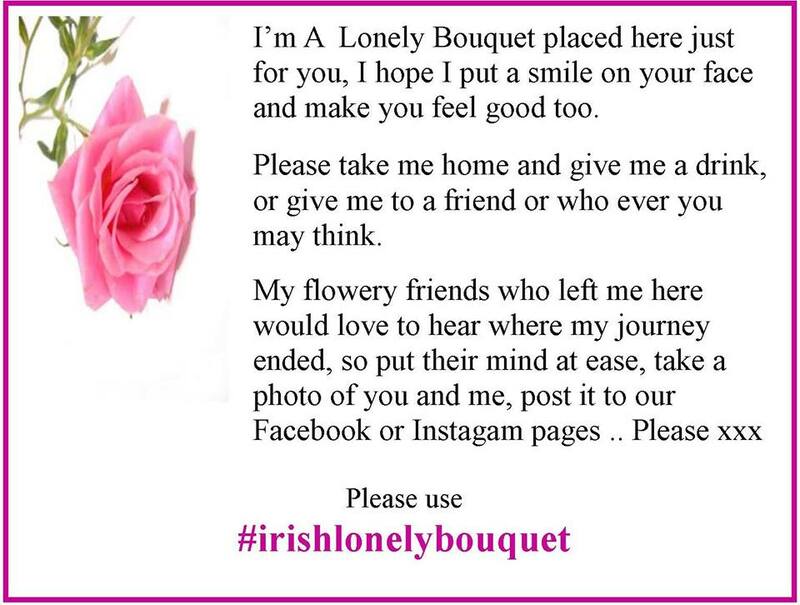 Search the #irishlonelybouquet hashtag daily and share, re-tweet or comment to build awareness. 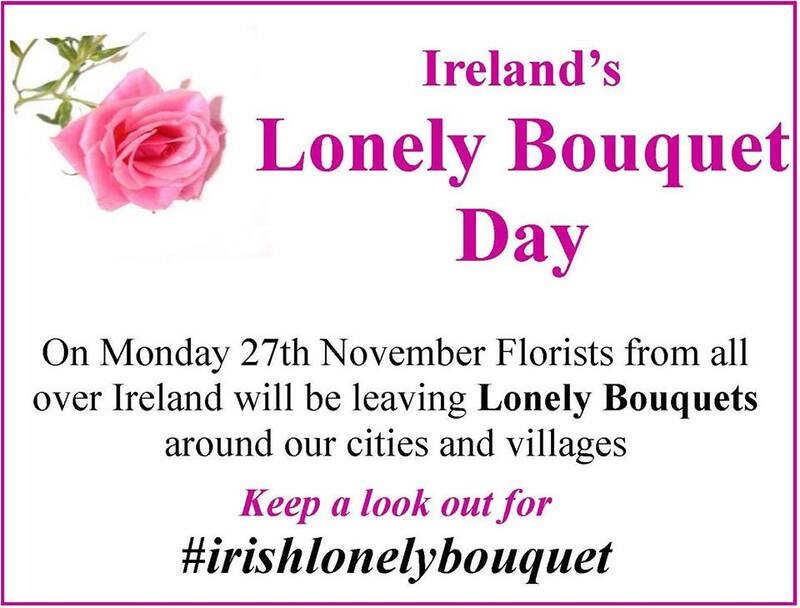 Have Fun and Enjoy the celebrations of Flower Shops and Florists all over the Ireland. Flower shops and Florists all over Ireland are often criticised for being expensive in comparison to the large supermarkets, and in a small number of cases this may be through around times like Valentines Day and Mothers Day, but in most cases flowers shops not only offer better value, better service but also better quality flowers and advice for making them last longer. Irish Florists and Flower shops are there for you through all the emotional times in your life like, New Babies, New Relationship, New Job, Saying Goodbye to a loved one, Saying get well to a friend, Saying Sorry, Saying Thank-you, Graduations, Weddings, and many many celebrations in life. Your florist is there to advice you the best choice flowers for the occasion in question and will design bespoke designs to suit the recipients personality. Most flower shops are small independently run enterprises, who support their local communities, and struggle to keep their business afloat through out the quieter times of the year. This Christmas, visit your local Flower Shop, they will have amazing gift ideas to suit all budgets, they can deliver smiles for miles with their flower delivery service. You will be surprised what your local florist can do for you.